Learning about Facebook? We can help. Blending personal with professional and connecting with people from so many walks of life. I'm able to share photos of my children while also getting access to event information about a work trip from a group page someone set up for everyone who has been hired for the job. With so many different apps and social media platforms, it can be overwhelming. If I had to choose just one to keep, it would be Facebook simply because of it's functionality. Younger demographic doesn’t often have Facebook. As students graduate high school and are interested in networking and building their circle, they often limit themselves to Twitter, Snapchat, and Instagram. I just feel that Facebook needs to do more to pull in a younger demographic in order to keep pace. I would hate to see it phase out. Event planning is so convenient. You can set up event invites and have access to people in your demographic to coordinate gatherings, both personal and professional. Other forms of social media I use for either strictly professional (such as Twitter) or strictly personal (such as Snapchat), but Facebook is the best of both. "Facebook is a Must for Marketing in 2019." Facebook is easy to learn and takes time to master. The more you learn through experimentation, the better you can get at maximizing your budget and really honing in on your exact target demographic. Facebook is a must for marketing in 2019 - no matter your budget. I dislike that Facebook is constantly changing on the backend, as soon as I learn the new version of the platform they release a new update. I also dislike that Facebook has recently started notifying me on my personal page when anything happens on my business pages - I would love for the two to stay separate. Finally, the last thing I dislike about Facebook is the complete lack of customer service for business clients. There is not a good way to get a hold of Facebook and their "support pages" are poorly monitored. I once had a support person answer my question 4 months later. If they want businesses to spend their money on their platform, they should be investing in ample support. It is easy to target our exact customer base on Facebook and we have the analytics to back up ad spend on the Facebook platform. This robust data is not available for more traditional forms of advertising. "Facebook the most used messaging platform in South America"
" Facebook for an innovative future"
the misuse that people can generate with Facebook, such as the bad promotion of products not suitable for users, others use this for undeviated acts such as fraud and kidnapping, although Facebook's privacy policies are clear and should not be used by minors. age plagiarizing information. A general advice for the use of social networks, is to start from the same care for social relations that one has outside the internet. That is, not talking to strangers, not sharing confidential information with people we know little about, differentiating the type of content that is shared according to who the other person is, using private conversations for private issues, informing parents and authorities if young people are disturbed or attacked, etc. Facebook is a social network that has the advantages and disadvantages that can vary depending on whether its use is personal, educational or at the company level. The good use has brought me great competitive advantages in my job to interact with patients to share information, photos, clinical cases and be closer to them without losing contact as it should be, which has been very helpful and beneficial in my field work through consultations. "A bit oversaturated, but still effective." I like that Facebook is used by a large pool of people, which gives us great opportunities for acquiring new leads and staying in touch with customers. I also like that Facebook has a standardized layout, so we don't have to fuss too much with programming and styling our page a certain way. We can quickly upload announcements, photos, videos and other content that are easily accessible to the public. I really dislike that our posts are not automatically shown to people that Like our business page. In order for our own subscribers to see our posts, we have to pay Facebook to boost the posts. In many cases, Facebook businesses may have to spend money on ads to acquire subscribers. It seems unfair that we have to pay additional fees to reach out to the subscribers. At the very least, I recommend any business to sign up with Facebook to have a presence on there. Whether you like Facebook or not, it's platform that many people are on and will likely expect your business to be on there. We are able to stay in touch with our customers and leads. Facebook gives us a reliable platform for people to access news, photos and videos about our company. With Facebook Ads, we can target ads to people in a specific demographic with interests related to our ads. That has really helped us to maximize our ad conversions. Facebook is not just for keeping up with friends and family but is also tremendously valuable for your business. With the easy to use and set up ad campaigns, your company will is guaranteed to have an increase in traffic not only to your website but also your location. Don't take my word for it though, go check it out! There isn't anything I would say I particularly dislike about using Facebook to run ad campaigns on. The only advice I would give is to make sure that your ad image is direct and to the point of the outcome you want to see. DO IT!! You will not regret it and you have nothing to lose by integrating Facebook Ads into your marketing and advertising. Ads are fairly simple to manage with the right people in charge. I would advise that you set down with your forecasting team to help delegate which campaigns launch when and for how long in regards to past performance. The goal here is to use Facebook Ads as a ROI tool. Needless to say the pricing on Facebook Ads is quite reasonable and since we are at the starting block here in 2018, prices will remain reasonable until big name companies like Coca-Cola and Amazon decide to run huge campaigns causing for the pricing to sky rocket. Nobody wants to be stuck competing with those two companies, so get on board while the ROI is enormous! Primarily location awareness of various companies. Promoting the "nearby deals" of companies in specific neighborhoods. Small businesses specifically have reaped the benefits of Facebook ads because so many of their target market is constantly checking out and using Facebook as a search engine for their needs. Facebook is a tool that not only serves to establish contact with acquaintances, friends and family, it also reinforces the idea of ​​new business opportunities, since through this Network you can make many types of advertisements regarding the business you are developing in that moment, in addition to this, you can interact with people on facebook Performing a pre-test to launch the product or service that you have or plan to offer to the public, in this way you will get an idea of ​​how much will be accepted by the public as it will be directed exactly. Facebook also serves as an alert for possible problems of products or services since from home with your computer or mobile device you can have Facebook and assess the accounts of these service providers, make complaints or make good opinions about the service. Perhaps what disguises the most is the bad use that several people can be giving to Facebook, promoting products not suitable for all public, or doing bad propaganda of some services, but nevertheless Facebook's privacy policies are clear and effective for each person. Use facebook as a tool or platform for your professional growth, since through this you can grow both economically and socially, and help in your daily life. Facebook has the advantage of being an application adaptable to various types of software such as Android or app for the wireless devices which I can use from anywhere, this facilitates the accessibility to the application and to be able to operate without any kind of problems, I can contact clients directly from the facebook chat and make any kind of concerns that may arise with the client, or I can simply see in the conversation with him exactly what his requests were and thus be able to deliver to the client a result exactly as established in the communication. "It is a very comfortable and simple way to stay connected with your friends, family and acquaintance"
To be able to interact with people from all over the world, be it relatives, friends or acquaintances, or even meet new people through him. It allows me to interact with people for my work benefit, to keep abreast of the latest trends regarding my work field and how easy it is to get business done quickly and efficiently. that just as we can interact with people from all over the world, people can access your information and manipulate it at will whether it is good or bad. therefore it is very important to take safety precautions. I recommend them a lot. It is an excellent application, easy to use, and great to keep in touch with friends and help a lot to people who want to publicize their business or labor services. It has brought me very good benefits because through my profile I can take for granted my projects and designs that I have made. And in the same way, meet people who may be interested in these projects. "facebook is the social network that connects the world and keeps us close to everyone "
Facebook, is extraordinary in terms of communication instantly. Funny and entertaining. Majestically brilliant. It is a very complete App with a great diversity of activities and tasks within it, as well as thanks to its affiliations with other companies allows you to log in with all your data already configured.. It can improve. When you open the bell for new notifications, entering each notification goes well, but when you leave it, it is as if it had not been read. It is an annoying bug. It is a very good application and social network It is a window open to the world so that, through it, you can extract everything you need or want. "the heart of social media"
There isn't anything I would say I particularly dislike about using Facebook to run ad campaigns on. The only advice I would give is to make sure tThere isn't anything I would say I particularly dislike about using Facebook to run ad campaigns on. The only advice I would give is to make sure that your ad image is direct and to the point of the outcome you want to see.at your ad image is direct and to the point of the outcome you want to see. At the very least, I recommend any business to sign up with Facebook to have a presence on there. Whether you like Facebook or not, it's platform that many people are on and will likely expect your business to be on there.It is an excellent application, easy to use, and great to keep in touch with friends and help a lot to people who want to publicize their business or labor services. "Facebook is a popular platform in today's world but the use per user is frequently changing"
I like that I am able to see what friends and family are up to even if they do not live close by. I also enjoy Facebook advertising, when it works properly. I dislike how Facebook has had so many issues with data breaches and how they are changing the platform to only allow you to use internal resources for marketing purposes. I believe it is important for businesses to have a presence on Facebook, but it is important to consider which social platforms are most beneficial for your business. Facebook is very well known and is a popular platform where prospective clients will go to look up businesses, however, you want to make sure you are investing your time into the platforms that are most beneficial to your business. We use Facebook primarily to post the most important information regarding news of enVista. 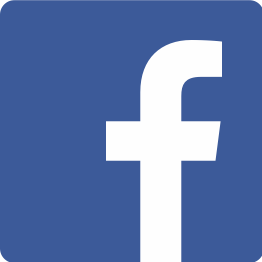 We realize that Facebook is a nice platform to have an additional place to post our information, so if prospective clients look us up, we are represented across several platforms, including Facebook. "FB for business and Personal"
Being connected to family and friends on the personal side. Seeing people you haven't see in years keeping in touch with family you wouldn't because they live in another State. For Business you can market your service sell your product. have your business connections. the Youth is affected by post of others that may or may not be directed in a negative way the has cause harm. I don't think children should be subjected to this connection so young to strangers> I don't post pictures of my grandchildren on my page for their safety. I would for business purpose to be contented. To display the product and service they offer. my customer is able to see who we are and can reach us through Face Book since the younger Generation is more apt to use Social Medial than a telephone to contact the business. Facebook drives so much of our community of users its impossible to overlook its utility. It is a point of interaction that we use the most consistently - plugging in all of our other platforms to Facebook means that we are able to direct traffic flow to our content and let people know what we are up to as an organization, programs that are coming up, fundraising and other options! I dislike that facebook continues to suggest advertisements or in-house ticketing options to us. We have not seen much progress on the few occasions that we have gone with the option to purchase a Facebook Ad. We also like our current ticketing option. What feels uncomfortable is the possibility that we may eventually be forced to turnover our ticketing to them as a vendor when other options are more enjoyable for us. Facebook is key. Its not an option there are no other sites like it - when you additionally realize that there is so much happening in terms of the site's growth and competition with other applications. Access to our audience and clients is a big piece of the legitimacy that Facebook gives us. We are most closely followed there and understand that it matches our market to be very present on Facebook. The benefit of exposure and ease of discoverability is huge for us. I love being able to keep in contact with my friends and families that are across the country. I do not have any family here so it is nice to keep in contact with them. I dislike the fact that privacy terms have been breeched and some information has become public. Be cautious of what you post online. I am noticing that parents of my students have access to my facebook pictures and some know what I am doing. I have my profile private but once it is on facebook, everything seems to be public. I have kept my maiden name so that I can have some type of privacy. "A good use of facebook can bring you great advantages"
It gives me the possibility of being in contact with those around me and with what happens in the world at any time. There could be cases of identity theft which is a danger, especially for the person whose profile has been stolen, as it may result in damage to his image. You can be connected with your friends, family or colleagues through the chat. This allows a direct contact at any time, even when the other person is not connected, because the message is envied by this same system and ready. Companies can also sponsor on Facebook. From businesses to large media or companies, through personal blogs. They all have, have the opportunity to grow thanks to a system of capturing followers and easy access. "The best advertising and communication tool"
What I like most about facebook is its wide social network that it has, it allows you to contact many people around the world, know sites, upload information to the network and even various personal and work photos among others. facebook has been a network that has been powerful in the world and every day are more people who register is said social network. what most displeases facebook, is that security has failed a lot, does not have a privacy which allows people to safeguard their personal or business information, and already today there are many cases of harassment, and even they steal photos for you electronically clog it is for this that the security capacity must be increased and not give all the detailed information to the social network. We recommend this wonderful social network, and make the most of it, you can use it to work, and entertainment, you can meet many people, as well as you can make your product or company known worldwide and thus provide better time to these networks social, and remembering to be pending with the use of it with minors, and privacy in terms of personal information. facebook helped us to position our company a bit more, it allows us to create a page detailing the type of company, its location and uploading each product that the company manages to later make it known on a large scale, it even serves a lot in terms of advertising the same. It is quite beneficial because there are many people who can contact and let you know much faster by this social network. "Great for promoting for business"
I like that there's an option to create a business page viewable to public without having to link it to your personal Facebook page. Keeping work and personal separate is key to promoting a business. I dislike Facebook not being just a simple way to connect with friends and family. I have been using Facebook for the last 15 years and it has changed so much. Example: bullying is used more on Facebook and reported less, users update their status to show the world every problem in their personal life. There's a high use of profanity, racism, and inappropriate outbursts that Facebook doesn't catch fast enough. Facebook used to be a safe place for personal accounts, but the only safe place is under a private page or business page. I helped create my husband's Facebook page for the business he owns and operates out of our home, it has been an attraction grabber, business grows faster with Facebook business. the simplicity of being able to connect to people all over the world with a simply click. Facebook does a great job of connecting each of your devices if you want to constantly be in contact, but also allows you to customize the notifications if you don't want your device going off every five minutes. I also like the new option to block/flag for review of content. Just shows that they are making steps in the right direction. The new jobs posting is a great addition as well! The amount of ads that are now showing up in my feed are getting annoying, but it isn't anything out of the ordinary for internet these days. I wish that there was a "hide me" function so that specific people would not be able to find or see that you have a Facebook page. It should be just as easy to hide from someone as it is to find someone. Great program that allows you to connect with many people all over the world. I specifically recommend the jobs posting, as it has become very simple to share with a specific group of people details about a job that you are hiring for. With Facebook, we have been able to post job-ads and find many qualified applicants. Though this opens postings up to many unqualified people, the filtering tool is starting to work better and better to post to a target audience. I love almost everything about it. It is so many sites put in to one great site. Status updates, videos, photos, polls, fan pages, instant messaging, connecting with friends, family, and acquaintances all over the world. It is a great site to make new friends and even potential significant others. It is a fantastic site for social marketing as well. Many businesses, including the one I work for, benefit greatly from having a presence on Facebook. Your advertising in statuses can reach thousands upon thousands of people with little effort and planning. I have read that spending time on Facebook has been known to help many people relax, slow down their heart rate and decrease stress levels. I dislike the potential for falling victim to identity theft. This is a problem that can easily be prevented though. Many people are not careful with what they share publicly on facebook and this can lead to unsavory characters exploiting that information. However, this is not the fault of Facebook. I recommend using Facebook for your marketing and customer contact needs. Everyone uses Facebook, and everyone is familiar with the concepts of interacting with each other and providing feedback and communication with each other and businesses. Take advantage of the seamless connection with potential customers. Advertising and connecting with customers. The chat feature is extremely useful when paired with other customer service chat services, which are often compatible with the Facebook messenger API.
" good social network to look for information"
facebook besides being one of the most popular social networks, I can become a very important information medium for any programmer since there are many groups of information both at the programming level with any other information that is required, you can even ask any questions and another person could solve the problem in a quick and simple way, so I consider it as a very important information page with great content of information, besides being one of the most popular social networks. use facebook more as a means of information or advertising you can get much benefit for jobs or even tasks, join various groups that interest you and review different companies, so your knowledge every time you enter Facebook will be much more. many doubts are solved at the level of information you can even communicate with another person who possesses the knowledge that would help you perform the required work, you can find information in different groups that were created in the same social network at the programming level, thus helping to solve a problem much more quickly and efficiently. "A Must for Social Outreach"
Facebook is the premiere social media platform, providing various options and features to help spread your company and/or brand to millions of customers and fans. I honestly cannot say anything bad about Facebook. It's the world's premiere social media platform, and the support is great if any issues should arise. It's a great way to gain followers and expand your business. Definitely give it a try, and be sure to check out the advertising tools and analytic features. When starting up a brand or a company, you need to be able to reach large audiences. Facebook allows you to do this, through their various advertising tools and platforms. From analytics to target audiences, Facebook delivers all of the necessary tools to grow and expand your brand or company. "the most popular social network"
you can talk to all your friends and family without any inconvenience, upload photos, upload videos, enter family groups or groups of your choice, the advantages offered by FACEBOOK for users both individuals and businesses are immense. it has helped me a lot to find many offers to buy as well as many clients and businesses with which to ally us, apart from the fact that its facility to advertise us is exquisite and cheap. It helps me to keep in touch with friends, family, and businesses. It also helps me to keep our students, faculty, and staff apprised of what's going on in our department and the university. Spam, fake profiles, soliciting, chain letters, and shut downs. This are items that Facebook has no real control over but they can be bothersome in general. I would recommend that they set up a page for their business because it gives them a free marketing tool to reach their target audience. Also update as often as you can so your audience is aware of any changes you might have going on. Marketing and getting the word out there about our Department and the University. It has helped me to make our students aware of what we do here and what opportunities are out there. Facebook is really informative if we go and follow the right people or pages. Facebook is being used by most of the people who likes to be in a social network. Facebook has local news feeds since our friends in local circle has Facebook with them. "Good for reaching different audiences for events and services." I like that I can create events that my business is holding to get a feel for how many people are going to attend and what to expect. I also enjoy getting feedback through the comments. I dislike all of the advertisements that Facebook gives while I'm trying to promote my own business. Consider how you want people to hear about your business. Most people have a Facebook account and this can help your business grow. I am solving the problem of communication by using Facebook. It makes it easier to tell my customers what I am offering and see what they are interested in. "Personal Facebook use for 10 years"
Facebook has been great for staying in contact with family and friends around the world. I think it gives a new way for people to stay in contact and to expand the world to places we have never been before. I do not like the advertisements on Facebook. It seems like Facebook may be able to track other things that are not on their website. I recommend for people to think of Facebook for nontraditional use. I think it was initially created for personal use but it have many professional uses as well. For example, learning about new treatment approaches or just sharing successes. I have been able to learn more about different organizations that are related to my profession and learn from others. I have realized that Facebook allows people to be in contact with others in the profession that do not live near them. I like most about this is the fact that it is easy to use and the pricing. I dislike the fact that there are many errors with the software according to the news and Mark Zukerburg. It is a great app and I recommend it. You can chat with many people and it is easy to use and set up. It is also free and an easy way to socialize or possible even chat. One benefit is socializing and creating a better and easy way to chat. I realized it was also very cheap and inexpensive. I can chat with tons of people and can even sell and advertise many things using this amazing and fascinating app. There were not many business problems. What I like about Facebook is that you can stay connected to people from high school, across the country and family that you do not always see. It bridges that gap of distance. I dislike all the security updates. I also dislike all the ads that show up in the right hand side of the facebook page. I would say from an agency that serves as a nonprofit Facebook is free and easy to use and with working within our community we are able to serve our consumers within the Facebook community who have disabilities and cannot often make it into our office. We are able to sometimes communicate with our clients through our agency Facebook. From a personal use I love facebook because I can stay connected with family and friends i went to high school with no matter where i live. With Facebook our agency is able to connect with people in the community and post events and photos from our events. "Good for communication and staying in touch"
The ease with which we can connect to our family and friends and specially not get lost in touch and stay in touch. It is pretty good with the new features of live videos and photos that we can share and stay up to date. It becomes too addictive and is not good for the future generation. Also, if I need to deactivate myself only for a few people without blocking them it would be a good option. It is pretty good for everything nowadays related to social activities and jobs and pretty much everything. Advertisements about the company and also job openings are posted. "Works great for interacting with people"
Facebook works great for interacting with people - due to the large number of people who interact with Facebook daily. It is great for reaching out to adults, which is our primary target. Even though one of our products is designed for children rather than adults, the marketing still needs to reach out to adults as they are the ones who purchase the product, and facebook is wonderful for doing just that. Facebook ads are often ignored by people now, due to the way most people have started learning to skip over ads. There is also a different kind of market - people don't share things on facebook as much as they do on other types of social media, since they have to make a few extra clicks in order to do so (unlike Twitter, where a retweet is only a single click away). It's great, but it is definitely not for the youngest crowd any longer - Facebook is more for the adults of the world at this time, which can be great if that is what you are hoping to reach out to. If you are looking for mostly teens, then Facebook may not be the best social media platform for you to reach out on. We've found ways to share content with wide varieties of people, both customers and potential ones who are likely to become customers at some point in the future. "Facebook is on the of the biggest app platforms for a reason!" The ability to communicate with friends and family while you are apart. The glitches, like your comments and posts will duplicate unnecessarily. Also, my timeline doesn’t refresh manually or automatically very often and at times I have to close and reopen my app to get it to refresh. I have established good networking opportunities and it is a great way to keep up on the news and current events in my interest areas. I love the way Facebook has integrated with various other social media platforms to give you superior advertising results. This social platform had a multitude of superior targeted functions to let you make the most out of your advertising. Thousands upon thousands of business and specialty support groups are available totally free to post ads to daily. Anyone who is doing business should have a Facebook fan page. There are literally millions of people available to become prospects. Targeted lead generation campaigns are available for purchase and it is user friendly. Support it also excellent here if you need help or advice. This platform is not friendly to automated postings of ads in large amounts continuously. They tend to block your account if you do this. I highly recommend using Facebook as a viable way to address recruiting and sales and marketing lead generation via their business groups. It is also an excellent way to generate brand recognition. Brand recognition, recruiting for various programs, sales, lead generation, sales generation. This is a goldmine for sales and lead generation daily. Having a world of connections to leverage for business or social gatherings. Very, very redundant functions found throughout the site. Also it offers features to freely promote your endeavors BUT stops you in your tracks if you do it too much. Conceptually great, but in practice it’s gotten more cumbersome over time. They need a complete rehaul on their feature-sets and eliminate redundant features, as well as making key features more clear to find. Using for your business is, however, a necessity these days. "Facebook keeps you in the loop on things going on around you"
I like that facebook can be used for your personal use as well as your business use. You keep in touch with people that you wouldn't otherwise. Business use allows posts to be boost for a fee to reach more people that are interested in buying or selling a home within a certain area. Business pages are helpful to invite people to see what's going on in the real estate world or see what we have listed and might peek their interest. I love that I can learn useful things from articles that are posted and save posts that I really enjoy to reference back to. I also enjoy that there are recipes I can save. There are groups I can join that are helpful and interesting. I dislike the fact that I could spend hours upon hours on facebook. I'm easily distracted with reading posts or articles. Sometimes I don't like that facebook knows me so well and that they have posts/articles that will be geared towards me or my demographics. Can be a time sucker, so have a goal in mind when logging in. This allows our team to reach more people with listings or to offer a hand to them in their buying/selling process to make it easier for them. The posts are in a target area and we can even make sure certain posts are sent to a demographic that would be interested in a type of home. Que puedo estar comunicado con todas las personas en diferente partes del mundo. Hay muchas personas que no le dan el buen uso a esta red social. Es una red social que cumple una buena directris y es muy facil de usar. Por este medio puedo hacer publicidad a mis contenidos enpresariales. "The easiest social media account you'll ever have." Almost everyone you know will have a Facebook account. Facebook is THE social media outlet to keep in touch with everyone from family to acquaintances. Facebook is allows slight customization but is always changing and keeping up with the times. Facebook is crazy with sponsored ads, always allowing cookies to follow you anywhere on the internet and is full of the craziest "news" stories you'll ever read. Although it is quite entertaining at times, Facebook can be annoying. If you don't have a facebook page or group set up for your business, you are out of the loop! Facebook along with other social media platforms are the way to go. People won't want to deal with you if you don't keep your Facebook page up to date, so make sure you are always posting, even if it is sharing websites or meme's or anything that pertains to your business. Facebook allows everyone the potential to "go viral" at any moment. Facebook is the easiest place to advertise your business. Free pages or groups allow you to expand your customer base beyond your local area and has the potential to go worldwide. Facebook live is a great benefit for those who have businesses or those who just want to be heard in the moment. Our business has expanded ten fold ever since we figured out how to actually implement Facebook's advertising services. Once you have that mastered, Facebook offers a plethora of opportunity to expand. "Great for building relationships with guests"
Facebook is an excellent platform for building relationships with guests and keeping your business fresh on their mind. It allows original content, sharing others content, and interaction through quick clicks (i.e. "likes") and commenting. Also allows for some basic analytic tracking. Multiple people can be administrators to help with page upkeep from their personal profiles. Easy to use. Smartphone apps and web-browser access. It's the best platform to me, so not much to dislike. Sometimes algorithms can make it hard for pages to show on people's "newsfeed". But the more they interact with you, the more likely they are to see your content. Use it as an engagement tool with your customers. People buy from people/places they like. Build relationships - don't be one-sided. Facebook helps your business have a personality and to show people who you are as a company. Use it to promote sales, to share helpful tips, to show the silly side, the operational side. Use it to paint a picture and people will interact and be more aware of your business. Isn't that the number one step of marketing? Have fun! Facebook helps us stay fresh in the minds of our guests and makes them miss us and want to come back. People like seeing the "real" side of a place/business and it's a great informal outlet for that too.